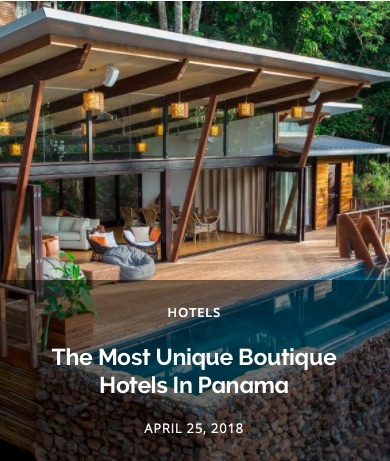 With a cool micro-climate, beautiful hiking trails, and simple access from Panama City, the sleepy mountain town El Valle de Anton is one of Panama’s best spots for a comfortable eco-tourism getaway. 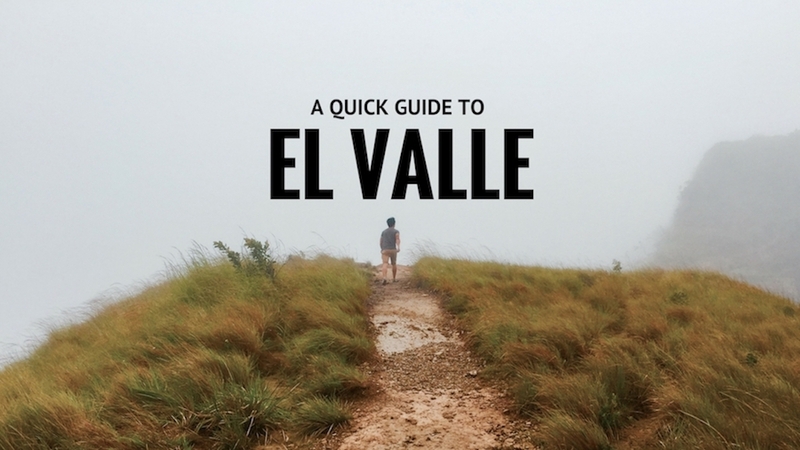 Here’s a quick guide on what to do, see, eat, drink, and where to “party” in El Valle. El Valle de Anton is a small town located in a luscious green valley of an inactive volcano crater – it’s the largest inhabited crater in the world! But the volcano has sat dormant for thousands of years and now is a favorite weekend getaway for Panamanians and visitors looking to escape the city. 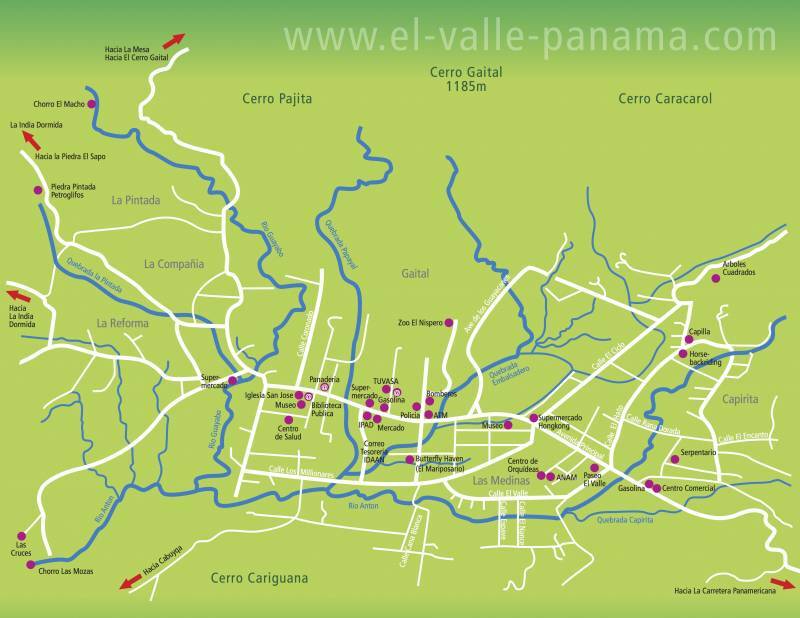 The proximity of El Valle from Panama City is one of its biggest perks, and you don’t even need a car to get there! You can take a bus from the Albrook Terminal for just $4.25 and be directly in the center of town in 2.5 hours, making it a great option for even just the day. But if you want to get to know this relaxing mountain town I recommend staying for two or three nights. 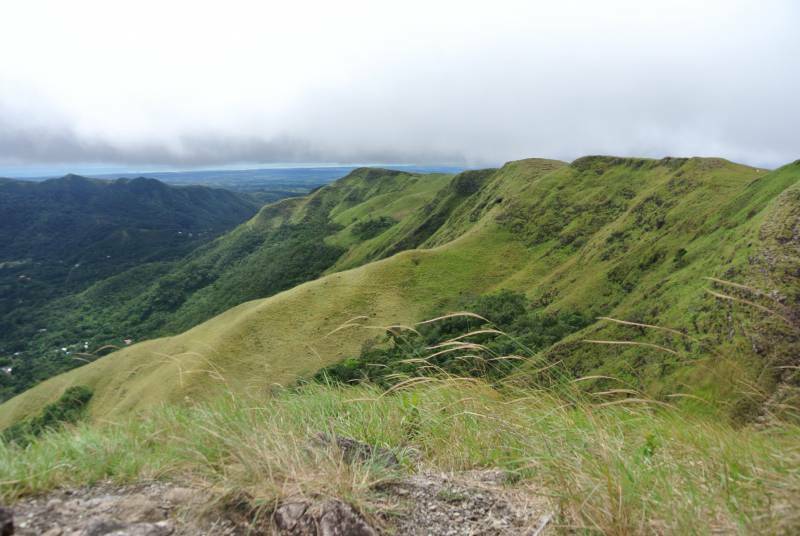 The spring-like climate, fresh air, and beautiful hiking trails are perfect for outdoor lovers. The most popular hike in town is trekking to the top of La India Dormida, a natural formation on the edge of the volcano crater that resembles a sleeping Indian. Along the way are a few small waterfalls you can swim in and petroglyphs dating back from pre-Colombian times. Once you reach the top, there is a stunning view of the valley and town below. 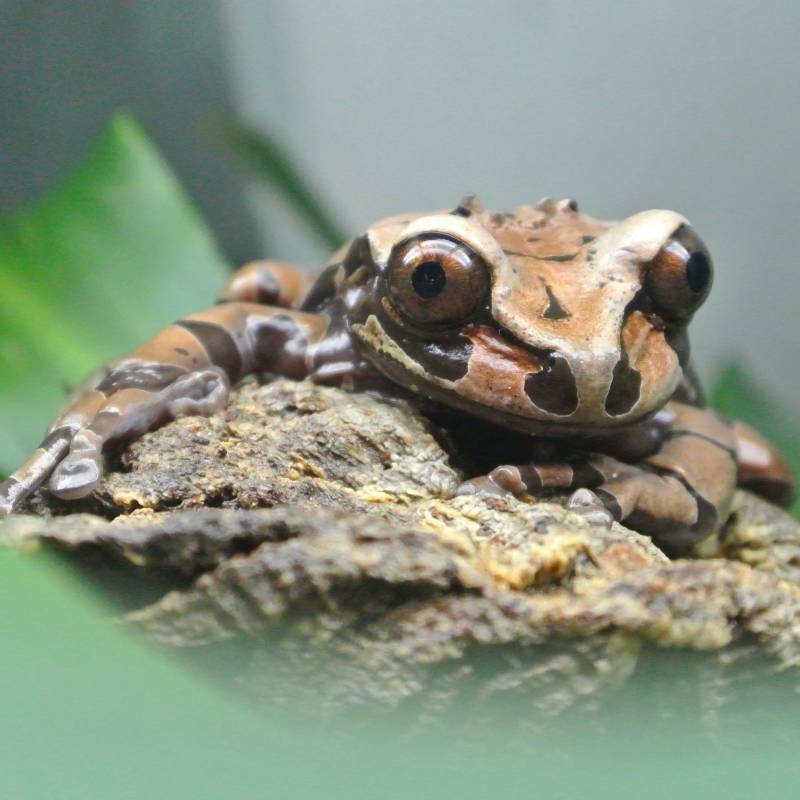 After a day of hiking you can relax in the thermal waters – a $3 “spa” experience, visit the town’s first microbrewery for a craft beer, see the endangered Golden Frog at the Nispero Zoo or simply relax in a hammock with a good book. Here’s a quick guide I’ve put together on all there is to do and see in El Valle de Anton, Panama. 1) Arrive early to avoid traffic: I left Panama City at 4 pm on a weekday which in hind site wasn’t the best idea because of traffic. Best to either leave at 6:30 am, 10 am, or 2 pm to avoid city traffic. Once you’re outside the city, it’s smooth sailing. 2) Bring a poncho or rain jacket: I hated ponchos but decided to buy one at the last minute before a hike in case it rained, and this $5 investment saved my life and camera. 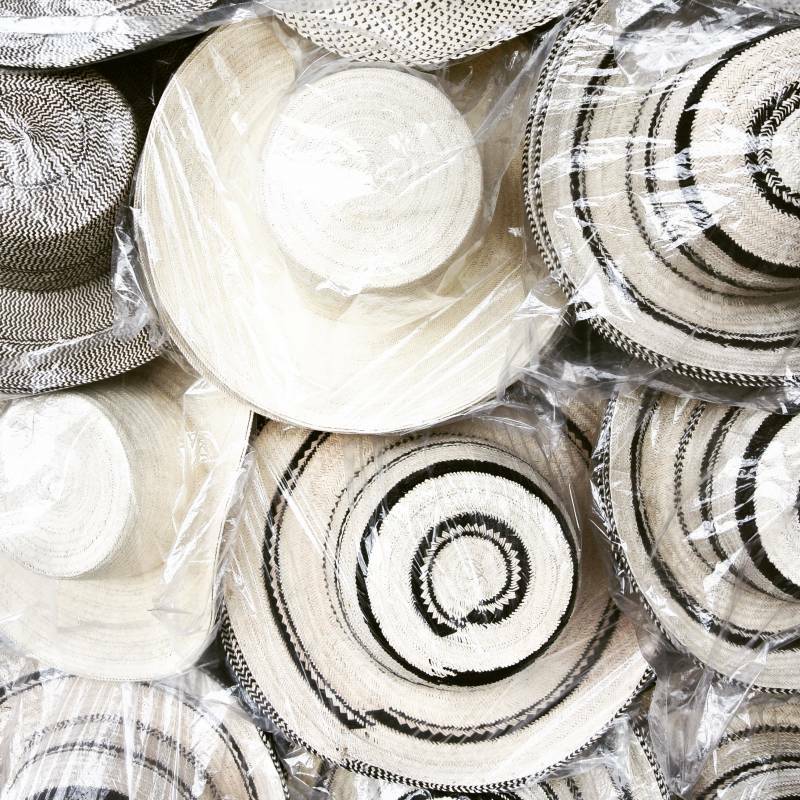 During the rainy season, you never know when a thunderstorm is going to break out. 3) Small town life: There aren’t huge tourist attractions, crazy parties, or tons of people around. El Valle is the type of place to disconnect and enjoy the fact that there aren’t endless entertainment options like in the city. 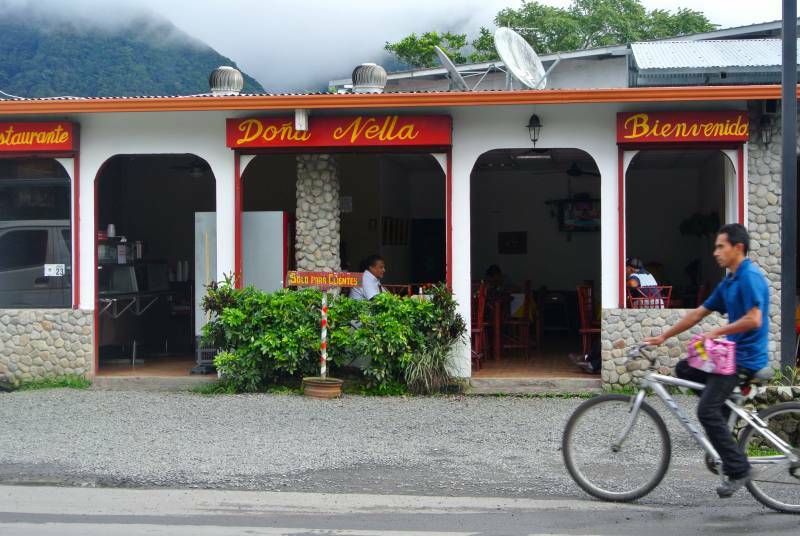 4) Cash only: Like most small towns in Panama, El Valle is a cash only kind of place. There are a few restaurants that take cards and luckily some ATMs in town, but you’re better off bringing lots of small bills (1’s, 5’s, and 10’s). 5) It can be chilly: El Valle has a unique spring-like microclimate so the evenings can be a little chilly. Just be sure to pack a light sweater and jeans for the nights. As I mentioned before, El Valle is one of the easiest places to access outside of Panama City without a car. The bus goes by at least every hour starting at 6:30 am with the last bus departing at 7:00 pm. 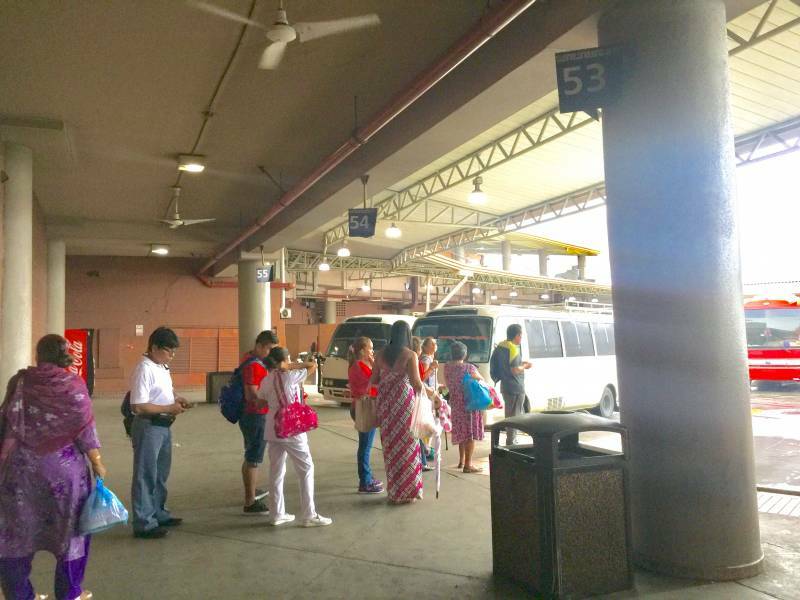 First get to the Albrook Bus Terminal, which is accessible via taking the metro or a bus, Uber, or taxi ride. 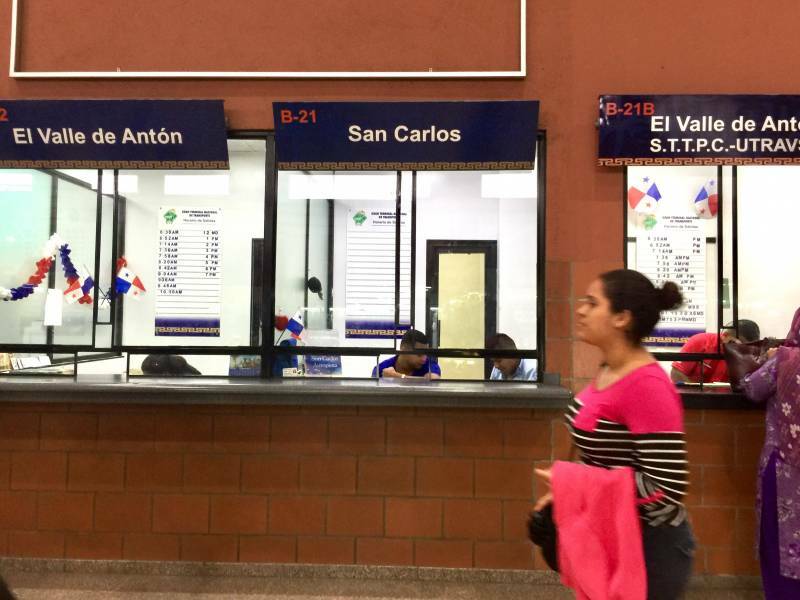 Once at the terminal find window 22, which will say El Valle de Antón. 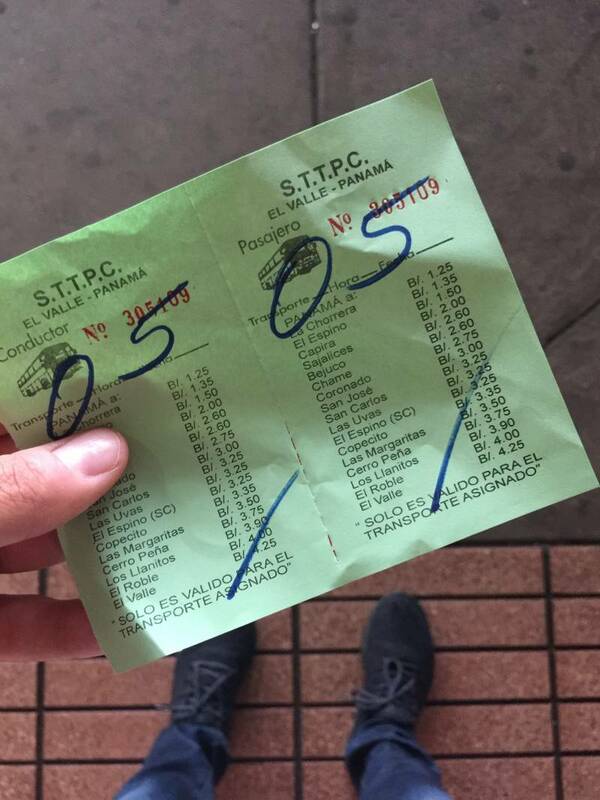 Let the person at the counter know you are going to El Valle, and the ticket cost is $4.25 (cash only). Once you have your ticket, you can pass through the doors on your right and go through the turnstile. The cost of going through the turnstile is .10 cents, and you can pay this with a RapiPass metro card or give someone .10 cents to swipe you through. You will then need to walk to station 53 (this sometimes changes so be sure to ask someone which station the bus is leaving from) and wait for the bus to arrive. 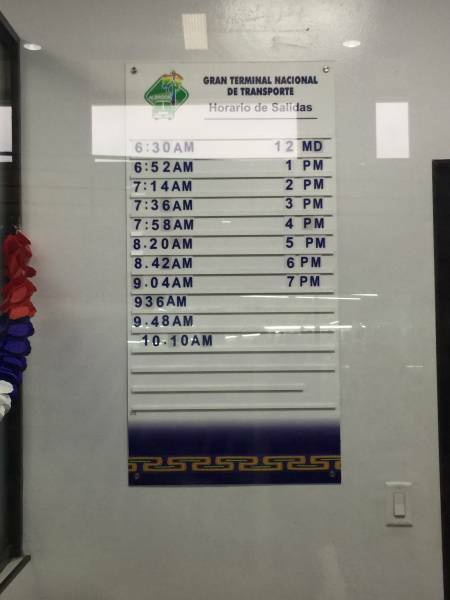 My 4:00 pm bus arrived at 4:05 pm, so they do arrive on time, and we left by 4:10 pm. 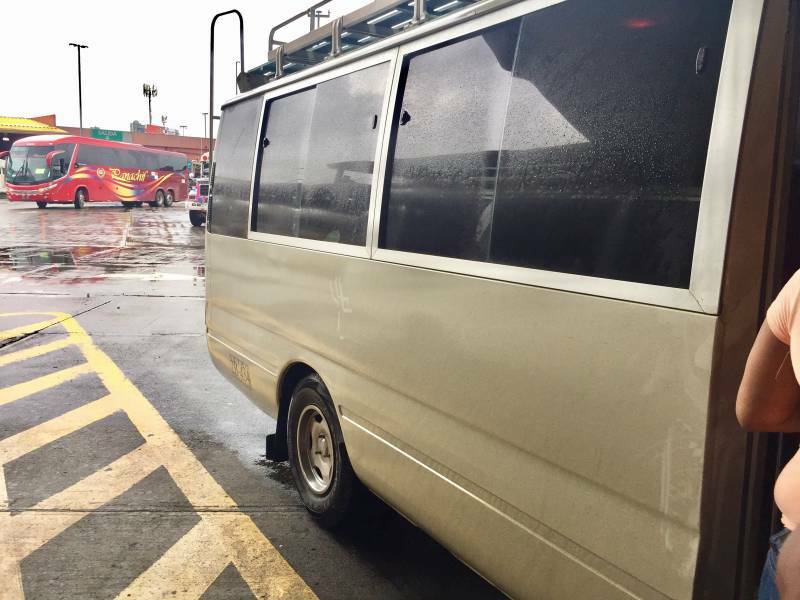 Once you’re on the bus, you can let the driver know which hotel or hostel you are staying at in El Valle and they are usually helpful with letting you know where to get off. The journey is approximately 2.5 hours with little traffic or 3 hours if you leave at 4 pm rush hour like I did. Take the Interamerican Highway outside of Panama City for approximately 90km and take a right at the Delta Gas Station a little past San Carlos. From here El Valle is about 28 km. If you have Waze or Google Maps on your phone that works well for arriving at most of the hotels and hostels within El Valle. I’m a hostel kind of guy so based on reviews & recommendations I decided to stay at the Bodhi Hostel & Lounge. The hostel is located right in the center of town and offers several private rooms and a dorm room with 27 bunks. I was nervous about staying in a dorm with that many people but thanks to having closed curtains on the beds and making proper use of the space, I never felt like the room was cramped. Plus this hostel is beautiful! Creative murals decorate the walls and materials are repurposed into nooks and sitting areas. Other amenities include free breakfast, super fast wifi, bike rentals, hot showers (if you stay at hostels you know this is a treat), and a projection movie theater on the lofted second floor with unlimited Netflix streaming. 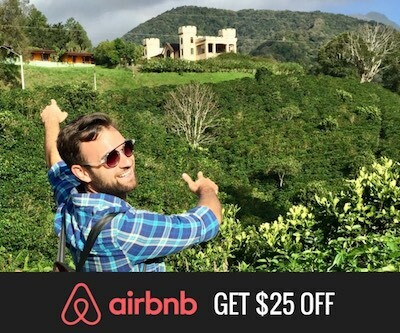 But whether you want to stay in a hostel, somewhere luxurious, somewhere with sloths, or somewhere in between – El Valle has an option for you. A secluded oasis in the valley with a swimming pool and tasty breakfast included. The ultimate luxury getaway in El Valle de Anton. Featuring an outdoor swimming pool, Caracoral Hotel Boutique is a beautifully designed option in El Valle de Anton. An eco-lodge that utilizes recycled materials and delivers a comfortable glamping experience. El Valle Mountain Tours: I took a trip with El Valle Mountain Tours, and this is the kind of tour to do if you’re looking for that off the beaten path experience. We discovered the hidden backcountry on a Ranger 4×4, plowing through dirt roads, streams, and overlooking breathtaking valleys. Our end destination was the massive 120-foot Tavida waterfall located about an hour away. Swimming in the water at the base of the fall I could truly see and feel how powerful this natural wonder was and pictures don’t do it justice. Something else that I enjoyed about this tour company is that they allow you to help out local families. You can donate $10 and drop off a care package to a local family during the tour. El Macho Waterfall: Walk across the suspension rope bridge for a fantastic view of Chorro El Macho, the largest waterfall within El Valle. You won’t be able to swim in the falls, but the quick hike and view are worth it. $5 entrance fee. Las Mozas Waterfalls: Walk along the Anton River to the smaller Las Mozas Waterfalls where you can then go swimming. $1 entrance fee. The Golden Frog Hike: Stop by The Golden Frog Inn and have one of the staff members show you the entry of the path. This is an easier hike to do, and it has a beautiful view of the town at the end. La India Dormida: Along the edge of the volcano crater lies a formation known as La India Dormida (The Sleeping Indian) which resembles the silhouette of a sleeping Indian woman. This is one of the most popular hikes in El Valle, but it can be difficult as you have to climb over rocks and the incline is steep in places. Along the hike are ancient pre-Colombian petroglyphs, a small waterfall you can swim in and two larger waterfalls on the way up. There is a killer view overlooking the valley once you reach the top. Cerro Cariguana: A steep hike up the volcano crater that offers the best view to see the sunset. Be sure to bring a flashlight for the way down! Las Cruces: This is one of the few overlooks that you can drive or walk up for a phenomenal view of the valley. El Nispero Zoo: This is more of an animal rescue center rather than a zoo, but it makes an entertaining way to spend the day. 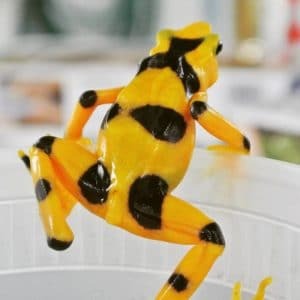 It’s also home to the new Amphibian Conservation Center of El Valle, which is dedicated to studying the bacteria that has been wiping out the Golden Frog. Entrance fee is $5. Bike The Town: Bikes are the how the locals get around, and it is a neat way to see the town! They are available to rent by the hour, half-day, or day at the Bodhi Hostel & Lounge. 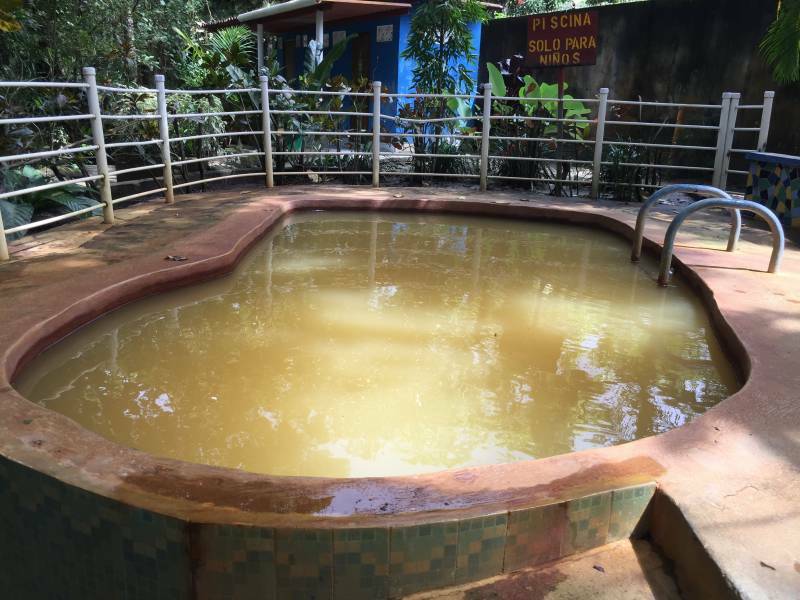 Pozos Termales (Hot Springs): Exfoliate your skin with a natural mud facial and then relax in the hot springs (it’s more like warm springs). 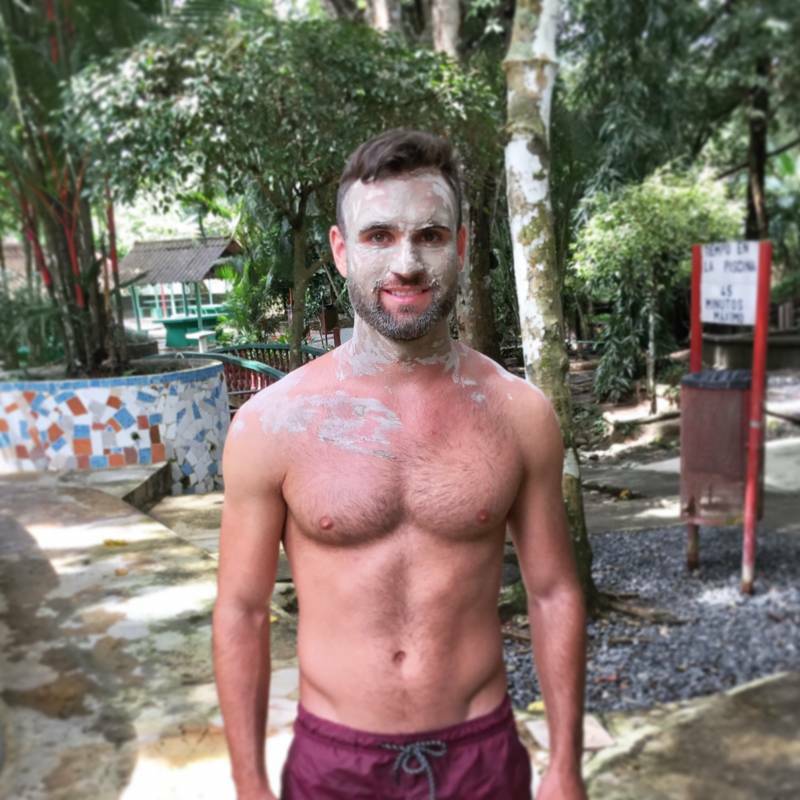 Let’s just say this is the best spa experience that $3 can buy. 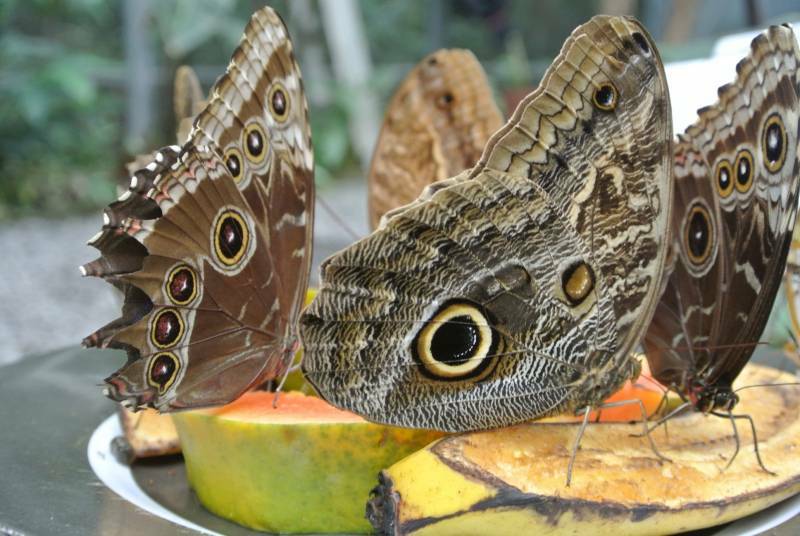 Butterfly Haven (Mariposario): Immerse yourself in hundreds of magical butterflies at the Butterfly Haven (Mariposario). The $5 entrance includes a guided explanation of the butterfly process from the egg to caterpillar, to chrysalis and finally butterfly. Orchids Center: View over 150 species of colorful local orchids at the Orchids Center. You may be surprised to find that Panamanian orchids are very tiny! 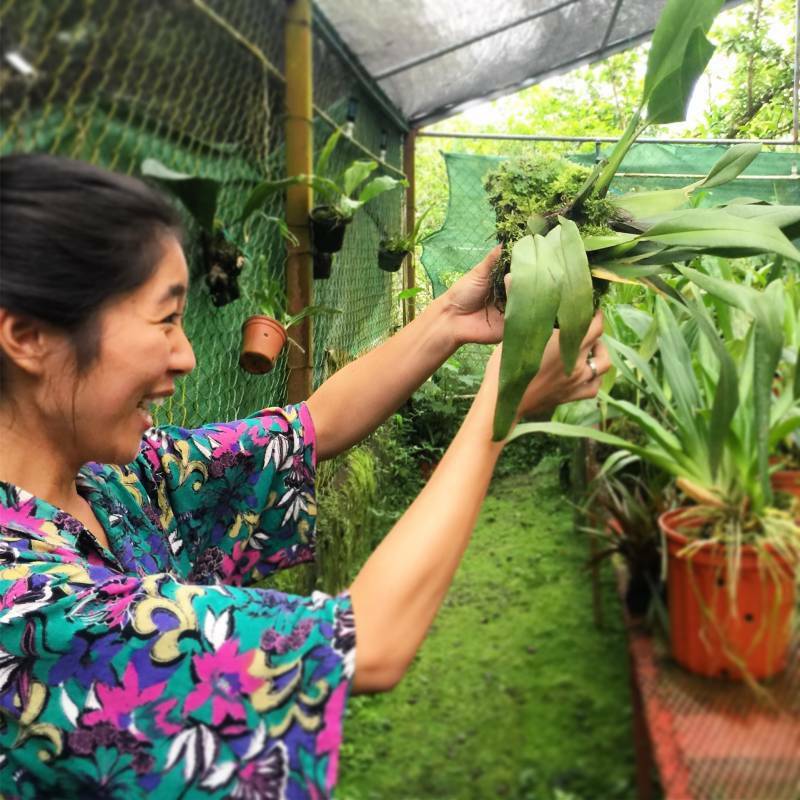 The orchids center also has the onsite Orquidea Hostel for $12/night where the proceeds from your stay go directly to benefit the running of the center. $2 entrance fee. Beach day: Want a break from the cool, mountain climate? Take a day trip to El Palmar beach! From the main town in El Valle, you will want to catch the San Carlos bus, which goes by approximately every 30 minutes. The bus costs $1.80 and takes 40 minutes to arrive in El Palmar (be sure to tell the driver this is where you need to get off). Spend the day at the beach and then when you’re ready, hop on the San Carlos or El Valle bus that is returning to El Valle for $1.80. El Valle Market: El Valle is famous for the market located in the center of town. During the week it’s mostly fresh fruits and vegetables and on the weekend’s vendors come in to sell local handmade goods. Frank Gruber: If you’re interested in learning about the medicinal properties of local plants, Frank Gruber is a herbalist with over 30 years of experience in the field. 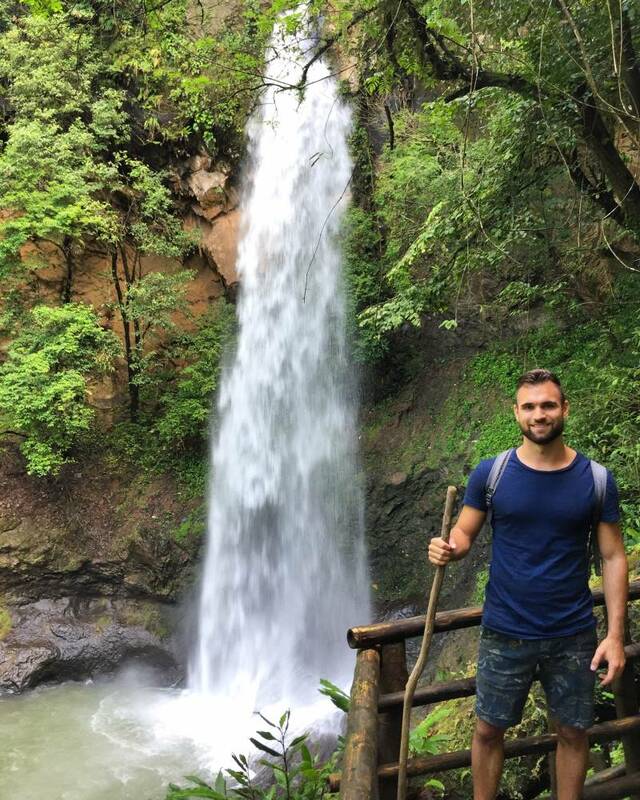 He organizes private tours in the mountains of El Valle and can teach you about natural medicine uses from local plants in Panama. Contact Frank at botanicogruber@hotmail.com or 66740601. 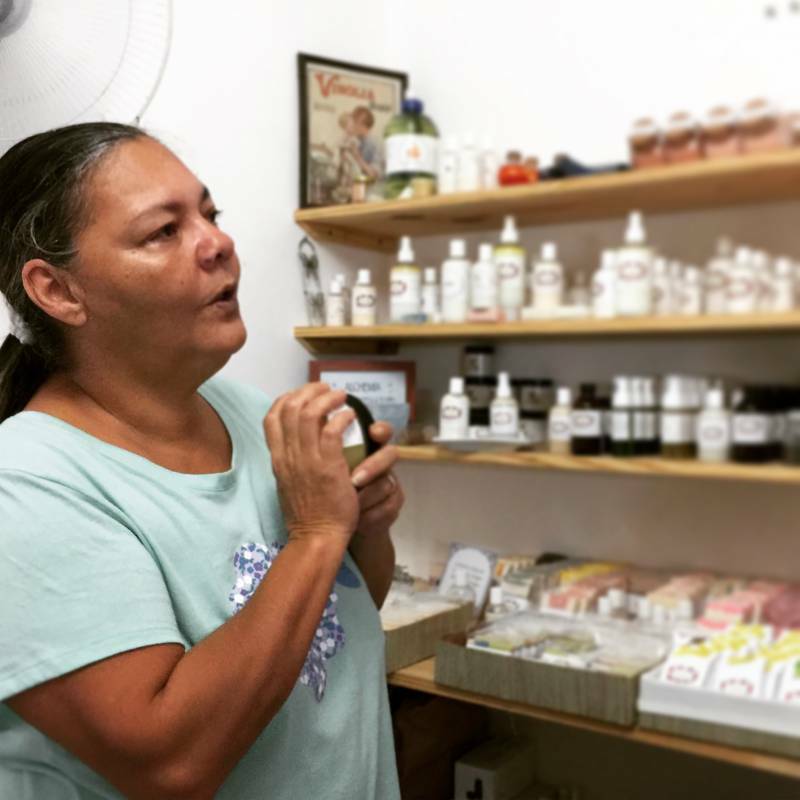 Alchemia Artisanal Soaps: Vivi is a local entrepreneur in El Valle that has started an all natural soap & skin care business called Alchemia. 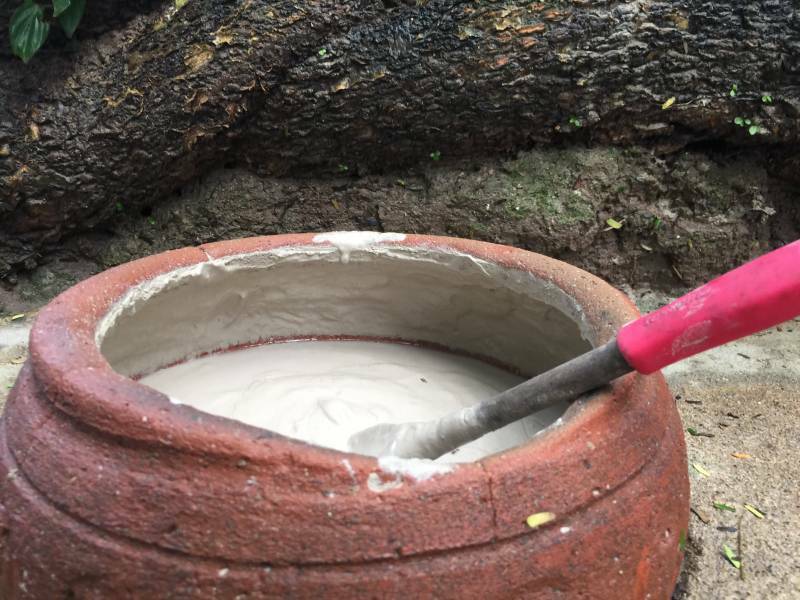 My visit to her “laboratory” and learning about the soap making process was so interesting! Plus she is such a sweet lady that makes you feel welcome in her home. Vivi’s house is located at the end of the street VETS in on (off the main road in the center of town but just ask a local, and they will point you in the right direction). At the end of the street, there are some gates you go through and the house is right there. Vivi’s number is +507 6722-0999 if you want to give her a call before you go. 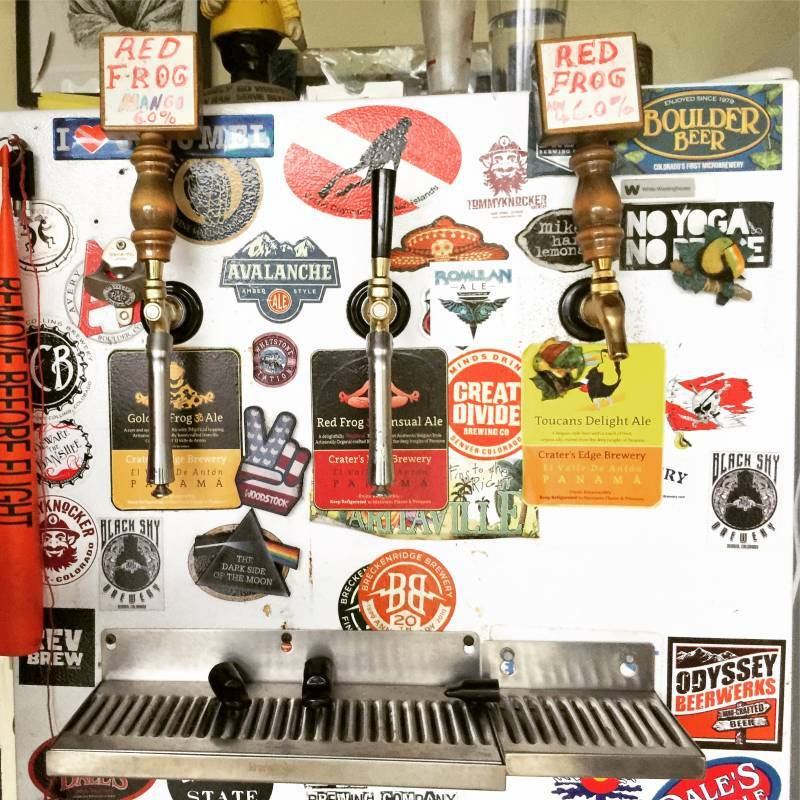 Crater’s Edge Brewery: I love discovering hidden gems, and the Crater’s Edge Brewery is one of them. Michael is an expat with over 20 years of brewing experience that has started a private nano-brewery in his garage. To ensure he is home and not working on his IT support profession or out on the property somewhere unable to know if anyone arrives, you MUST call 1-2 days before setting up your private appointment for a tasting and beer pickup. 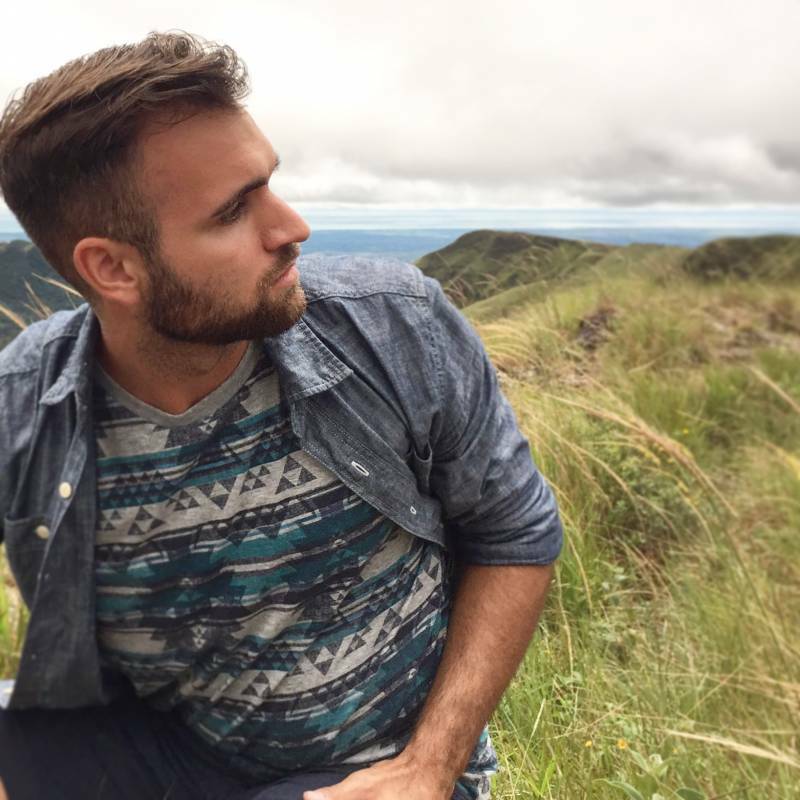 Michael can set up your private appointment through the Craters Edge Brewery Facebook site and he will give you proper directions on getting there once he contacts you. Once there you can sample his Golden & Red Frog Ale or any other special editions he has on tap and then purchase a 1/2 gallon bag to go for $25. Please keep in mind this is not a bar, nor is food served so please be respectful of Michael’s home. From local fondas to fine dining, I was able to find an array of delicious dining options in El Valle. However, this is a weekend getaway so if you’re there during the week be sure to eat out before 7 pm or a lot of places will be closed! ($) Camino del Inka: If you’re on a budget then Camino del Inka is one of the best value lunches in town! Be sure to ask for their lunch special of the day and for just $3.50 you get protein (pork, chicken, or fish), rice, beans, and a salad. ($) Street Carts: Visit one of the street carts in the center of town by the market for quick local grub like arepas, chorizo, or a natural fruit smoothie. ($) Los Munchies: Got the munchies? This Lebanese / Venezuelan restaurant has fresh falafel, shawarma, empanadas, juices, and more! ($$) Pizzeria Pinocchio: There are a plethora of Italian dining options in El Valle, but this is a nice casual spot I went to for good food and reasonable prices. ($$$) Casa Florencia: Trip Advisor reviews rave as this being one of the best restaurants in El Valle. I didn’t get a chance to try it myself but apparently this is the spot to go for authentic Italian cuisine. 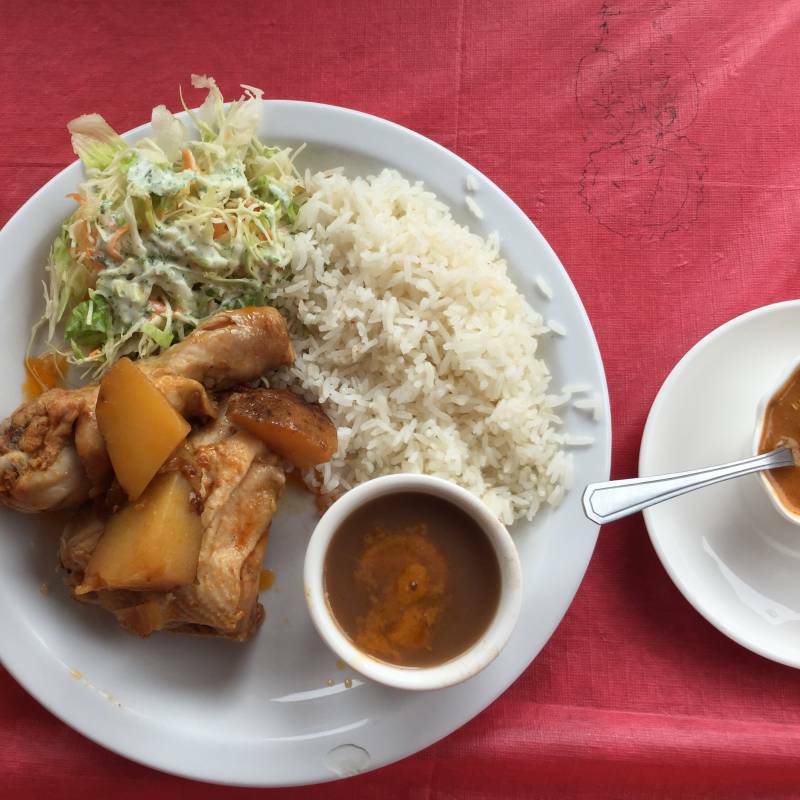 ($$$) The Golden Frog Inn: Located a little outside the town center, The Golden Frog Inn features a beautiful oasis hidden in the mountains and offers local Panamanian style cuisine as a dinner option. ($$$$) La Casa de Lourdes: I had an amazing dinner here. The restaurant is located in a beautiful old mansion overlooking a luxurious swimming pool. The entrees are going to be the most expensive in the area, but the setting of the place and quality of the food is worth it. You can visit here for lunch or dinner. 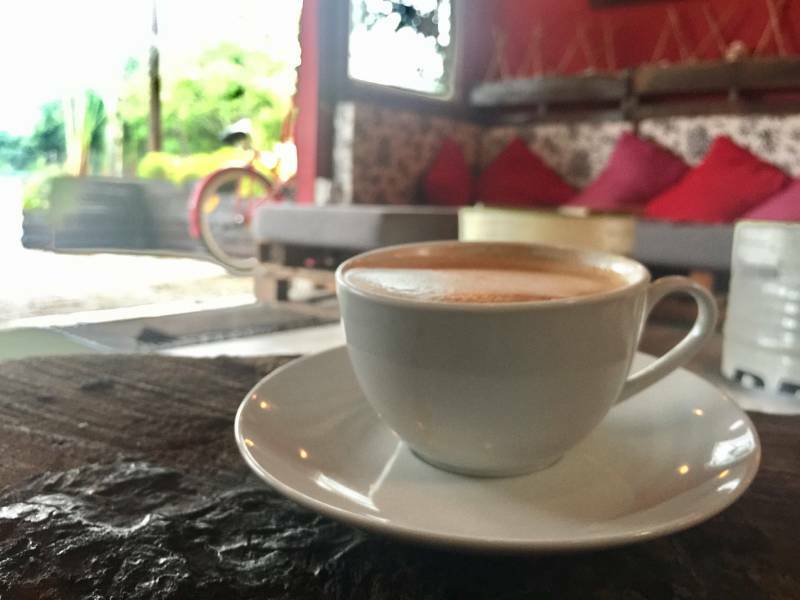 Bodhi Hostel & Lounge: Enjoy a cappuccino – complete with latte art, or a natural fruit smoothie from the Bodhi Hostel. There’s plenty of sitting areas so bring a laptop or book and let the creative spaces inspire you. Aroma Coffee Shop: This is a cafe featuring coffee from the Eleta Farm, and they have a full coffee menu including espressos, cappuccinos, and frappuccinos. El Valle Gourmet & Coffee Shop: Pastries & coffee in the center of town. Cano Panadería: This is one of the only bakeries in town, but they do have a good selection of basic bread, rolls, and pastries. Let’s just say you don’t go to El Valle for the nightlife (unless it’s the annual Valle Bash). 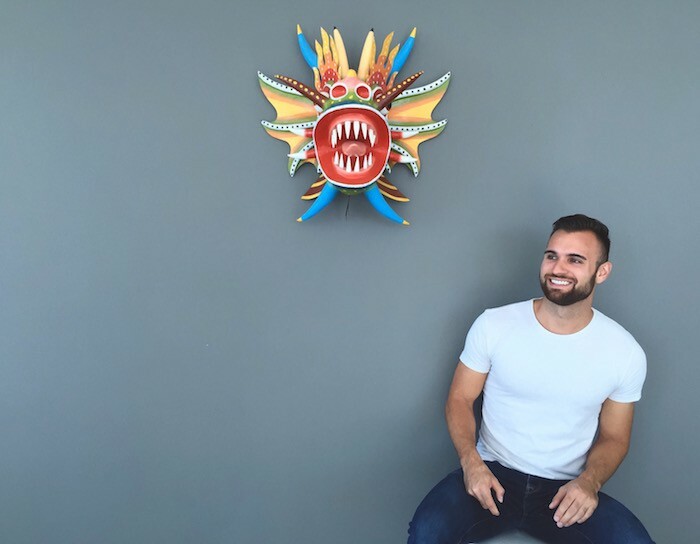 There are a few local watering holes to have a beer and some of the local expats organize a happy hour once a week, but besides that this is a place to relax and enjoy the outdoors. 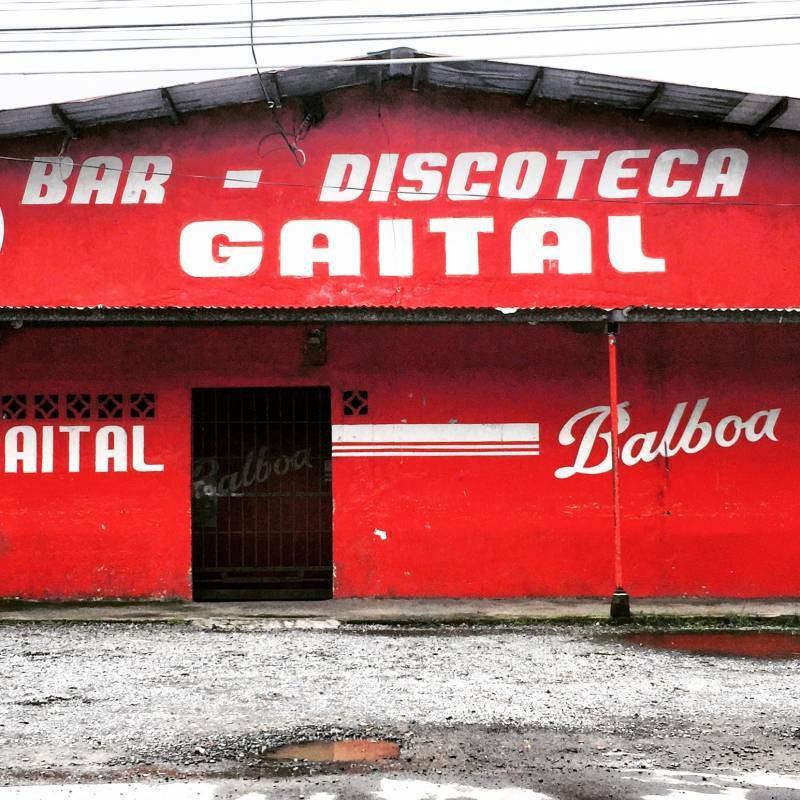 Bar & Cantina Gaital: This classic cantina is the way to go for a very local experience. Beers will run you just $1, and there might be an old man talking to himself in the corner. O’Pedros Irish Pub: A classic Irish pub situated on the beautiful Mandarinos Hotel property. They serve traditional pub grub, cocktails, and can always be counted on to have sports streaming on one of their many TVs. 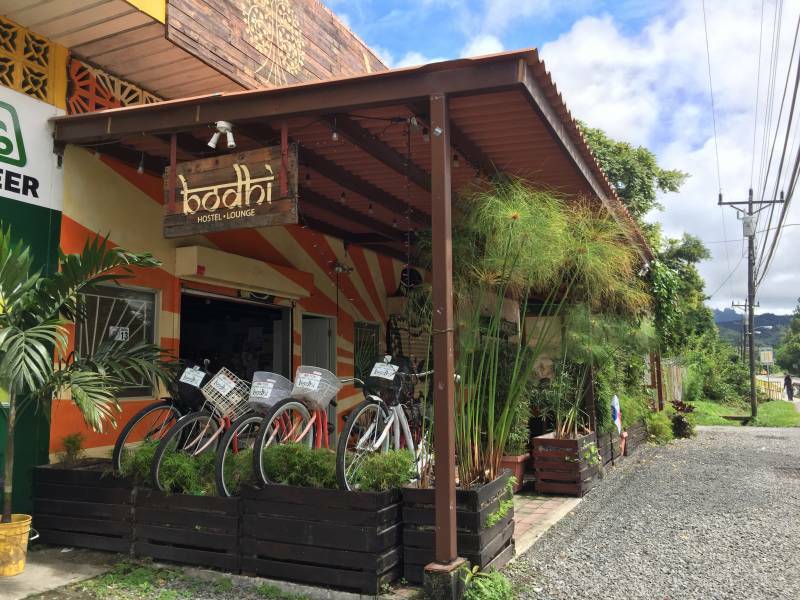 Bodhi Hostel: Craving a craft cocktail? Bodhi has a selection of creative cocktails under $4 including gin & tonics, passion fruit mojitos, and more! Have a few insider tips on El Valle? Leave a comment below! Thabks for the info of your blog. Do you know the timetables to go back from el Valle by bus? Thanks! Your post becoming all the rage here in El Valle.